I think many of us have used bed sheets instead of curtains at one point in our life, but they were never as cute as these. 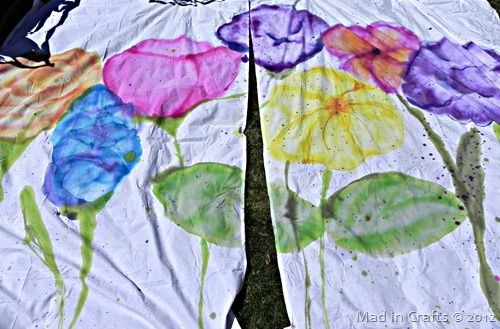 Jessica used tie dye to create the look of a giant water color for her daughters room. Not only did she make these beautiful watercolor curtains, she made a pillow case to match. The same method could be used for custom bed sheets too. just wondering how it looks when hanging.